Fiber is on fire and there are a number federal resources that may provide or identify resources for organizations, companies and communities that want to build or attract next generation networks. Want to see where broadband is deployed in your area, compare to other regions, locate the nearest fiber to the home network or view providers by speed, offerings and connections in your community? Check out the National Broadband Map, a joint project of the Federal Communications Commission and the National Telecommunications and Information Administration at the Department of Commerce. Check out the National Broadband Map. In March 2015, President Obama launched the Broadband Opportunity Council, a multi-agency effort to expand broadband deployment and adoption. Chaired by the Department of Commerce and the Department of Agriculture, the Broadband Opportunity Council spent five months reviewing every major Federal program that provides support for broadband, from the Department of Housing and Urban Development and Health and Human Services to the Department of Justice.  In the summer of 2015, the Fiber Broadband Association submitted its recommendations to the President for his review and the White House released its findings. To empower more communities with strategies to support and accelerate local broadband planning efforts, NTIA's BroadbandUSA Community Connectivity Initiative will create a comprehensive online assessment tool to help community leaders identify critical broadband needs and connect them with expertise, tools, and resources for overcoming the challenges to expanded broadband deployment and adoption. And the initiative has produced BroadbandUSA: Guide to Federal Funding of Broadband Projects, a compendium of federal funding sources. ConnectHOME is a project launched by the Obama Administration in twenty-seven cities and one tribal nation to help bring Internet to more than 275,000 low-income households. ConnectED is an initiative by the Obama administration that has given over 20 million more K-12 students access to broadband in their classrooms and libraries; and 28 communities have come together under the banner of ConnectHome to ensure kids living in public housing have a reliable way to get online and do their homework. The FCC's Measuring Broadband America is an ongoing study of measures of broadband service in the United States. The Rural Utilities Service (RUS) is an Agency within the US Department of Agriculture and includes three departments to serve rural Americans’ utility needs; these departments are water and waste water, electric, and telecommunications. Currently, the Telecom Program offers two distinct loan programs and one grant program for broadband infrastructure, as well as one grant program for the purchasing of distance learning and telemedicine equipment.